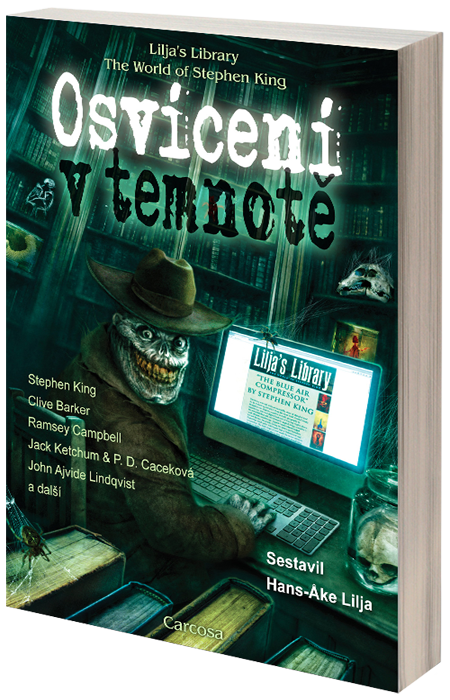 Here Is an interview I just did with the italian King site Stephen King Only. Here is an article about me and Lilja's Library from a Swedish magazine called Vi. 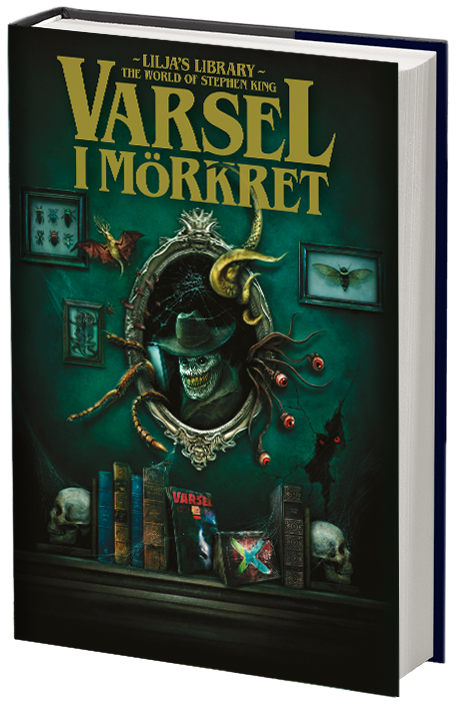 Tomorrow Stephen King’s Mr. Mercedes is released in Swedish, a book that the publisher calls his first pure thriller, and "a tribute to the hard-boiled noir genre." We asked ourselves, who is Sweden's biggest King fan. Perhaps it is this man. 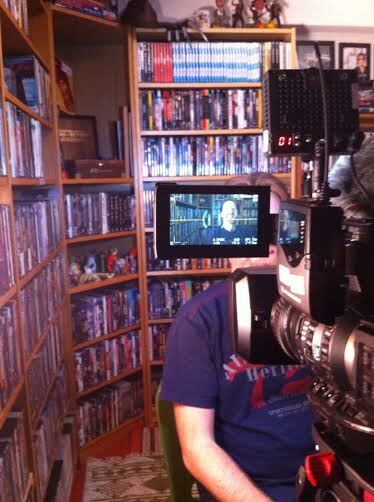 Here is an interview (in French) I did with a French Stephen King forum. 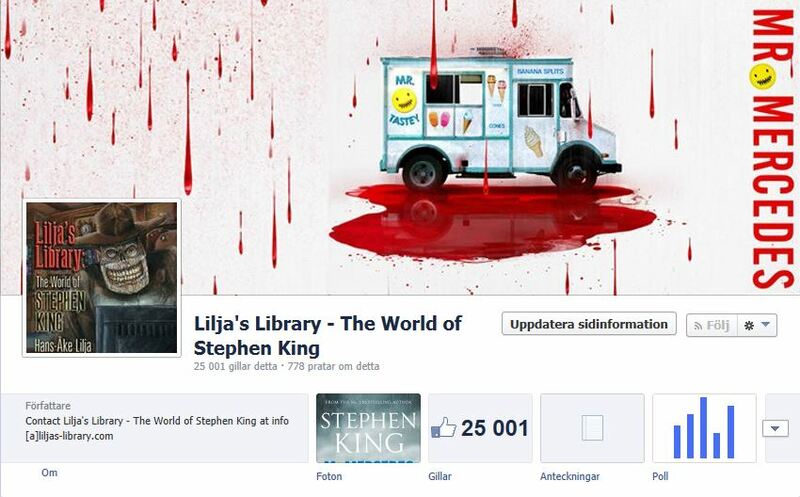 Today the Lilja's Library facebook page reached 25,000 followers. Definitely a BIG milestone for Lilja's Library! The limited is sold out, the hardback starts to get hard to get but the eBook is still out there. Check it out if you want the book for a good price. Only $2.99. Yesterday I got my copies of the limited edition of my book. Do I need to say I'm proud? Limited ed. of my book now shipping! The limited editions of my book is starting to ship. This one was delivered to Chris Kelaart and is book S. If anyone else out there got his or her copy, please send a photo of Glenn's drawing and what letter you have and I'll post it here on the site. Earlier this week I did an interview with the Brazilian King site King on Maine and now you can check it out if you like. 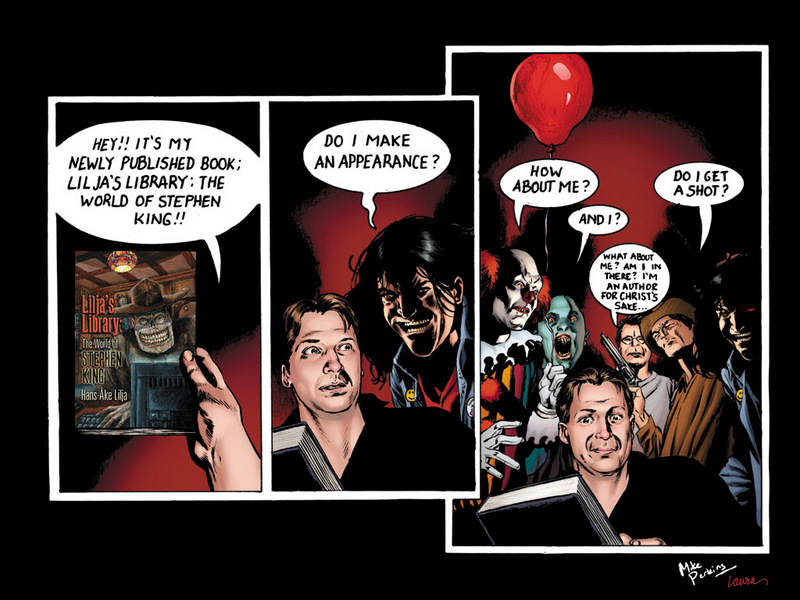 The goal was to meet and interview the author Stephen King. That he has done - several times. Hans-Ake Lilja from Örebro runs the world's biggest fan site about the horror master. 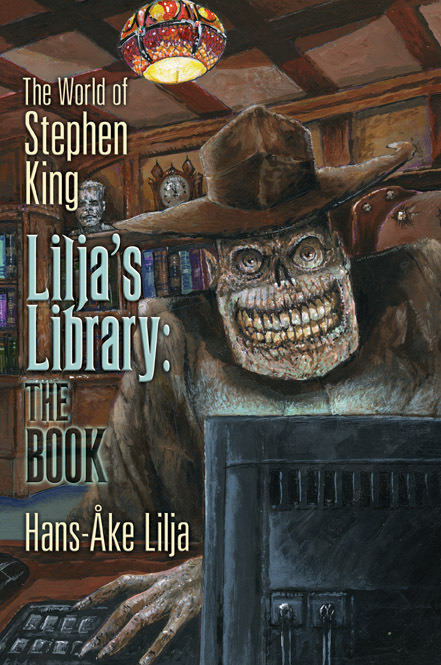 Back in 1996, when ordinary people was starting get Internet in their homes, Hans-Ake Lilja from Örebro created the website Lilja's Library about horror writer Stephen King. - There were not too many good website about him, so I learned how to do my own. It was not that difficult in those days, says Hans-Åke but then he works as a software developer. At first the site contained only text and the number of visitors was modest. 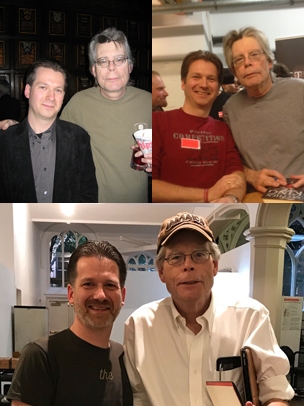 16 years later the site has grown to become the world's biggest fan site about Stephen King and the two dreams that Hans-Ake had from the beginning has now come true. - One was to interview King, and I've got to do that twice over the phone. It took five years of exchanging emails with his assistant the first time. The second time it went a little faster, says Hans-Ake with a smile. The second dream was to meet the author, something he got to do when the King was visiting London for a publishing event. It is difficult to understand both how big the site is in itself is as well as who big King is as an author. 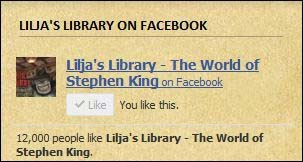 Lilja's Library currently has around 1.100 unique visitors each day and more than 13.000 people like the site on Facebook. And two years ago part of the website’s content was published as a book with the same name. 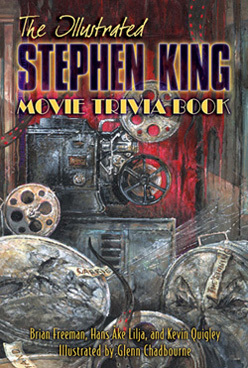 The author Stephen King has since 1974 published 68 books and been translated into around 40 languages. Today he releases about one or two books a year. - In Sweden he’s been labeled as a horror writer and he is not as big here as he is in the US. It’s a pity that so few know that it’s King how’s written the books that both "The Green Mile" and "The Shawshank Redemption" is based on. Why read so much by Stephen King? - In addition to that they are good stories, they are also very fascinating. They often start out as very normal, everyday events that then turn into something else. Something scary. - Fear is a very strong feeling. Joy and sorrow are as well but harder to write about. If you get an uncomfortable feeling when you read a book, then it’s usually a good book. 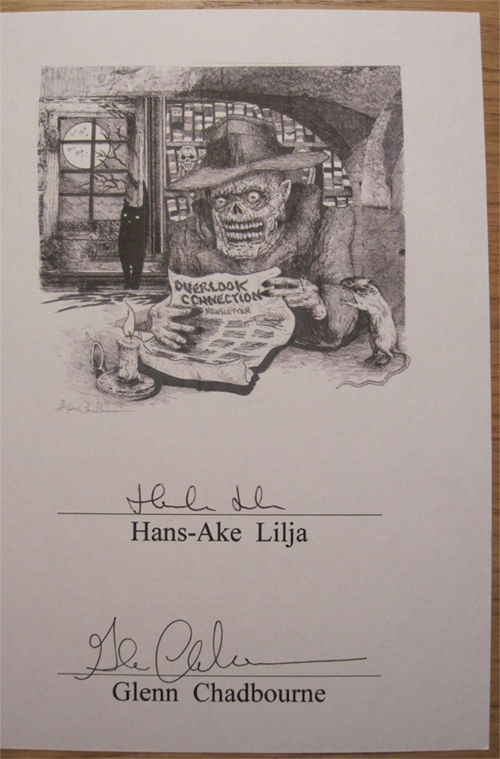 But so far, fear has not influenced Hans-Åke too negative. - No, it's not like I have to sleep with the lights, he says with a laugh. Perhaps that will change this fall though when he and his family goes on a dream vacation to the US where they will visit Universal Studios, which offers a different kind of tourist attraction. 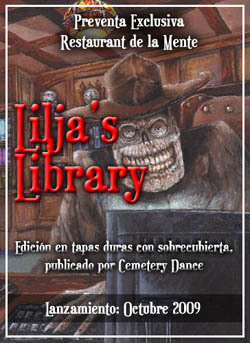 Today two interesting items about Lilja's Library surfaced. 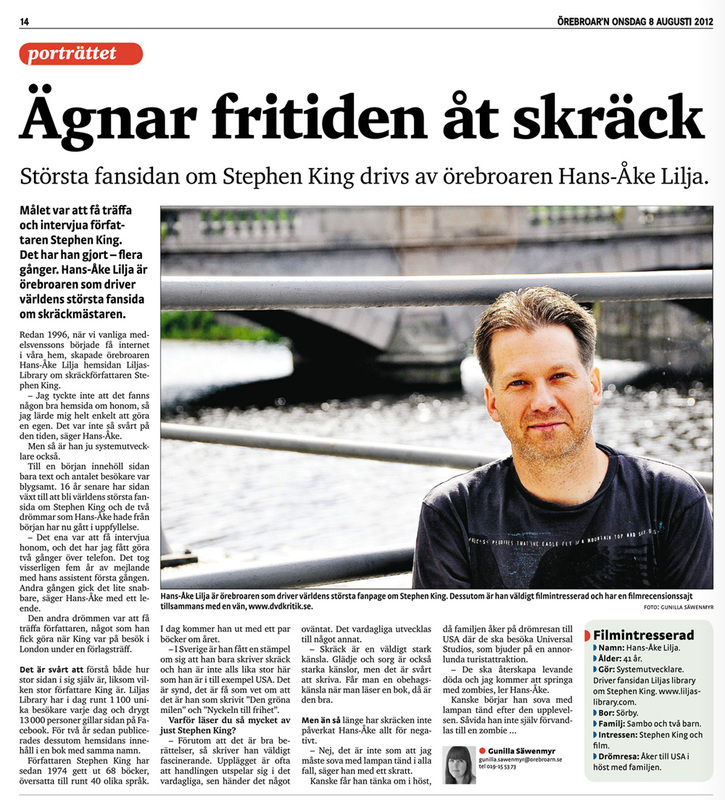 The first is an interview with me about the site in a Swedish newspaper. You can read it here. Click on the top cover and go to page 14. The second is a review about my book that you can find here. I am a sold out author! I am a sold out author! Cemetery Dance just informed me that the trade edition of my book is now officially sold out. If you’re looking for a copy you might be able to get one at the bigger retailers but don’t wait too long since they will only be able to sell what they have in stock. 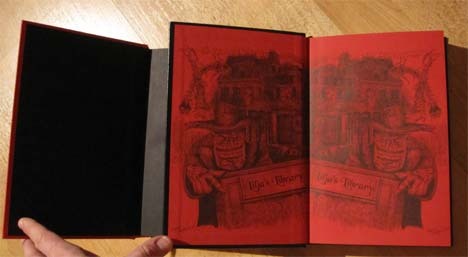 Amazon.com has some left but the only other edition available at this time is the eBook that you can get here. It’s only $7.75 and there is even a free excerpt for you to check out. Lilja's Library reaches 12,000 on facebook, come and join!. Today Lilja’s Library had its 3,000,000th visitor and I’d like to thank you for all your support during the years. Thanks! Now we go for 4,000,000! 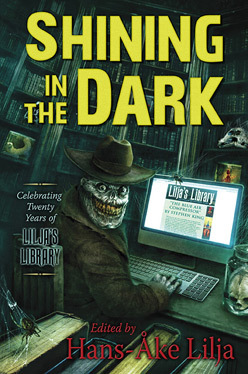 It’s contest time here again at Lilja’s Library and this time I’m going to try something new. 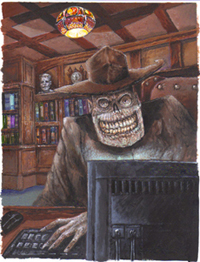 Most of you probably know Marv: The Library Policeman but few probably know who he was before he became Marv. 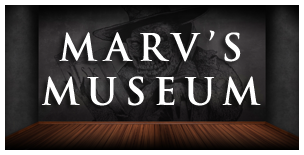 Before Marv, his name was Marvin S and he was a normal human being like you and me…until that fateful night at the library that is… But what happened? Well, that is what I want you to tell me! And you need to do it in the form of a story. The two best stories will then be crowned winners and before I tell you what the prizes are, here are some rules you need to follow. 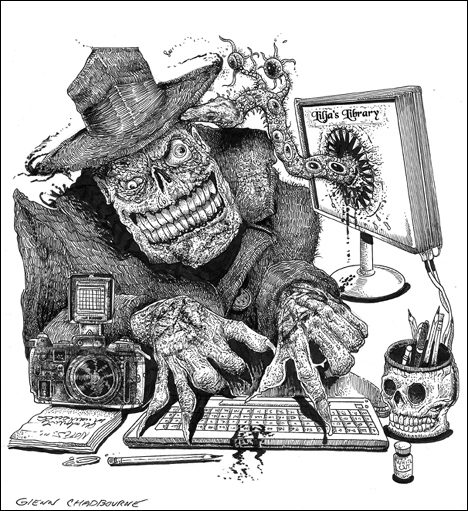 1) You should base your story on the original illustration Glenn Chadbourne has done (see below). 2) The story should be between 1,500 and 2,000 words. 3) You need to send me the story at the latest on Sunday February 19th, 12 PM Midnight Swedish times (that is 6PM New York time). 4) You can submit as many stories as you like. 5) The story has to be written in English. 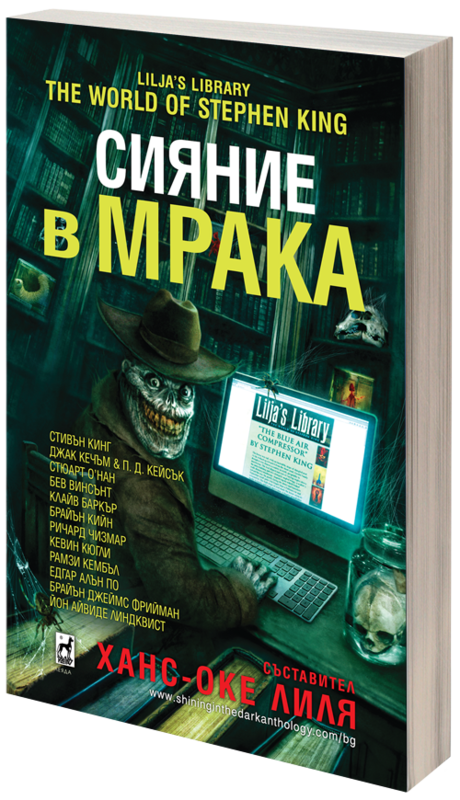 To stay updated about this contest, upcoming contests and all news about Stephen King follow Lilja’s Library on facebook and twitter. Thanks to Glenn Chadbourne and Cemetery Dance for donating the prizes! Here is a review of my book from YouTube that I just found. It’s done by Josiah Morgan who gives it a 3 out of 5 even though he thinks I’m probably an annoying person and not at all right to do interviews with people associated to King. What do you think, is he right? Thinking about getting a copy of my book? Well, I just checked with Cemetery Dance and they told me they only have 30 copies left. I also asked them if they would be willing to give my readers a discount. After all Christmas is coming right? And they agreed. They are giving you 25% of on my book if you order it from them. That means you pay $30 instead of $40. Mot bad if you ask me. If you’re interested, here is what you should do. 2) When you reach the PAYMENT page during the checkout process, just put the special code LILJA25 in the COUPON CODE field near the top of the page and then click the REDEEM button. But as I said, they only have 30 copies left so hurry if you want one. If you're thinking about getting a copy of my book but can't decide if it's something for you, head over to Amazon.com were you can check out a preview of it (the Kindle Edition). A very generous preview I might ad. And if you want a copy of the hardcover they are still available here. 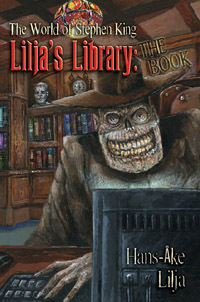 This is the finished cover and “Lilja’s Library” is once again in read, which is good. And you can also see what it looks like when the great quote from Peter Straub is added. This one is the same as the finished one but with the baby blue and I’m glad they didn’t keep the blue on the finished cover. 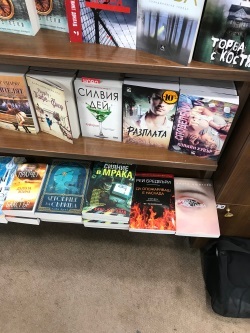 Here you can see that “The Book” has been removed and I must admit that it was a smart way to shorten the title and make it look better on the cover. One thing though that is somewhat of a lost is the fact that we now can’t see the Stephen King bust that is hidden by “Lilja’s”. This one I actually like quite a lot. 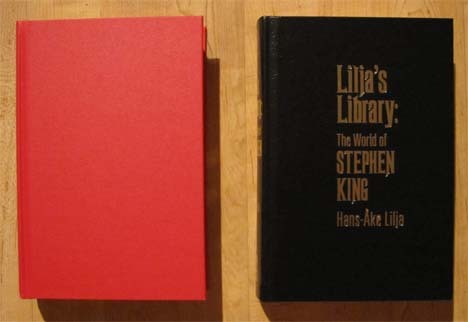 It’s only real problem is that “Lilja’s Library” is in babe blue which I don’t think is the right color. And that the title of the book is way to long. This is probably the design that I like the least. The text is good but the way “The book” is put on the cover doesn’t look good at all. Any the font on my name is way too thin. Now you can buy my book on iTunes. If you do, please rate it. Here is the address. 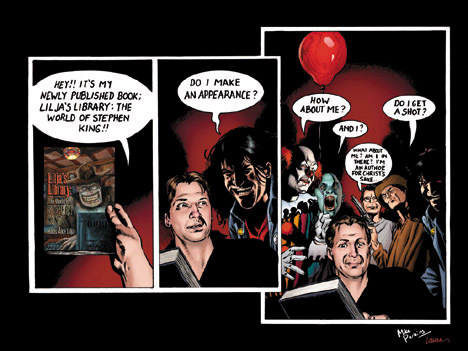 The difference here is that the text “The World of Stephen King” is more like the one on the finished versions and I definitely think it’s easier to read. 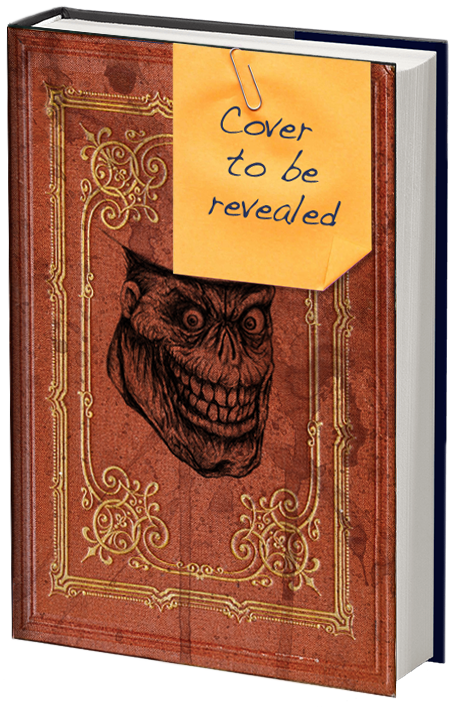 To celebrate the release of my book in eBook format I will let you have a look at the different ”could have been cover designss” there where for my book. All designs where done by Gail Cross of Desert Isle Design and I’m not sure why she didn’t like the first ones but I will let you know what I think about them and hopefully you’ll give me your thoughts on each and every one of them as well, OK? I will show you a different cover each day for the next 6 days. 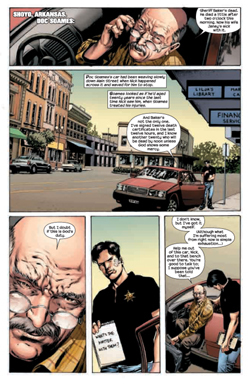 The text here is actually very fitting to Glenn’s illustration of Marv but a bit hard to read. I like it but think that my name is way too big. 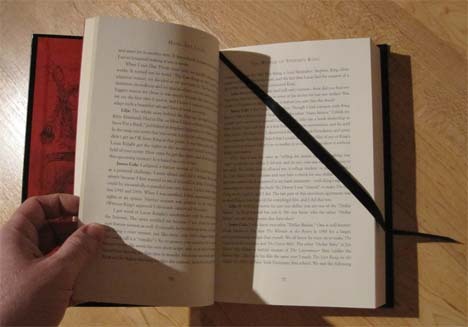 I got a picture sent to me of this rare edition of my book. It’s something called Bluelines and there is usually only one copy (occasionally there might be 2). 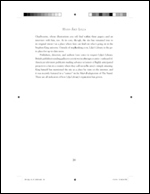 The printer sends these to the publisher before the book is printed so they can confirm that everything looks as it should. Oh, and if you havn't gotten a copy of my book and plan to, make is soon. 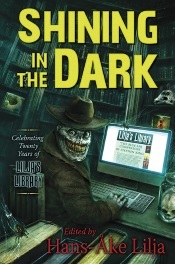 The hardcovers are running low over at Cemetery Dance. Looks like this thing called Unboxing is a lot bigger than I first realized. You have probably seen the video I posted where Scott unboxes a copy of my book. Today I got a link to a second unboxing of my book (unfortunately the link was broken) and this got me thinking. 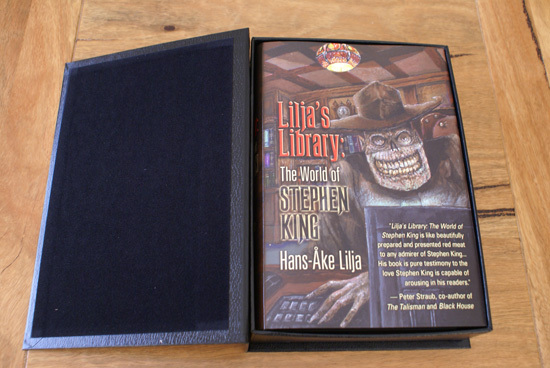 If anyone out there has done or found an unboxing of Lilja’s Library, send me the link and I’ll post it on the site. These “no tips” where used in a Grab Bag that Cemetery Dance sold and there where less than 12 done. It's extra fun that Scott pronounces Lilja almost correct. Here is a wonderful review of my book by author Wayne C. Rogers. There are still copies available from several stores if you're interested in getting a copy. And if you want it signed, that can be arranged as well. You'll have to pay postage to Sweden though. I just wanted to let you know that I have signed a bunch of books that are now on sale over at VeryFineBooks.com. I signed these exclusively for this bookshop and as far as signed books these are the only ones that you can buy at the moment. Veryfinebooks has also agreed to includes free shipping (within the US) and a 30 day money back guarantee (don’t know why you would want to return it though :-) ). Here is a great review of my book. Check it out. I did a short interview for Cemetery Dance's newsletter some time ago. Today it was published. If you don't get the newsletter you can also check it out here. Hi everyone. I just wanted to remind you... Today is the last day where you have a chance to get a signed first edition of my new book with your order at VeryFineBooks.com. Check it out now. TheNeeko and Paul Thomas needs to send me their addresses. Want to get a free Signed First Edition of my new book? Check out this really cool offer that VeryFineBooks.com has put together for you guys. 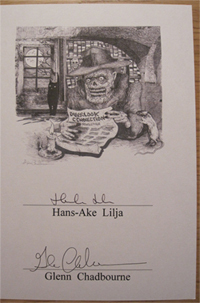 Win an artist’s plates from Lilja's Library! 1) One winner will be drawn from everyone who retwitter this message on Twitter before midnight on Friday. 2) One winner will be drawn from everyone that likes this post in my facebookgroup before midnight on Friday. 3) One winner will be drawn from everyone that enters the contest on my site. This time there isn’t even a hard question you have to answer. You just have to tell me why you should have one of these artist’s plates. 4) For the last winner I will take all the entries from the above and draw one winner. So, you got four chances of winning one of these artist’s plates. And if you do 1-3 you’ll have three chances to get drawn in the forth. Today I signed a bunch of artists plates for The Overlook. If you want one of these with your book you can order a copy here. 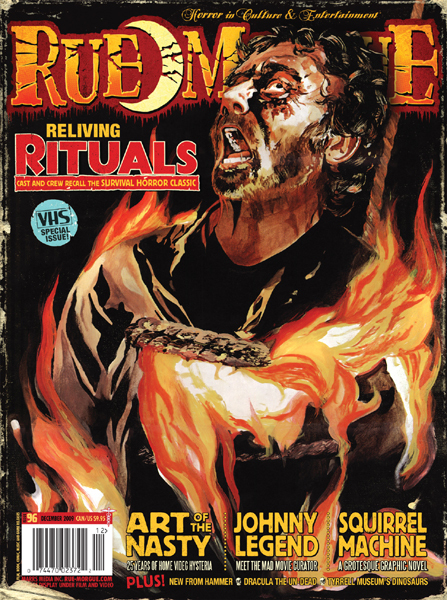 Featuring special appearances by Stephen King, Peter Straub, Ridley Pearson, Mick Garris, Marsha DeFilippo, Michael Whelan, Stewart O’Nan, Glenn Chadbourne, Robin Furth, Steven Weber, Mark Stutzman, Frank Darabont, Jae Lee, Tyson Blue, and many others! 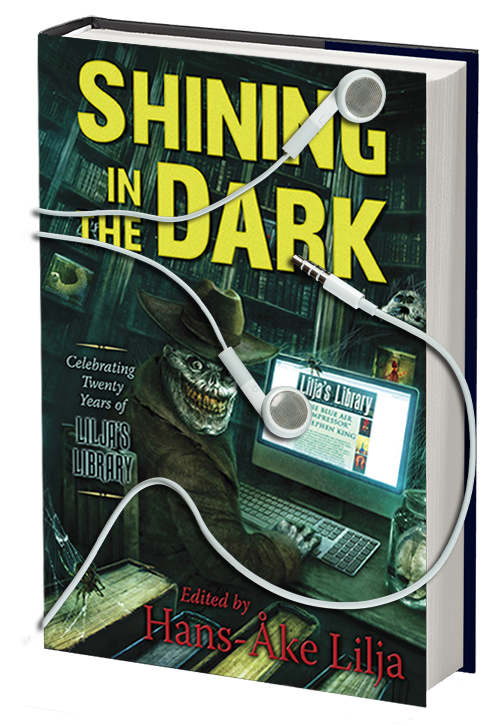 For over a decade now, Lilja has been one of the leading voices on the Internet when it comes to covering and reporting on Stephen King's books and movies. His website, Lilja's Library, is the die-hard fan's source for information about new King projects and breaking news, but Lilja has also featured his own in-depth reviews and interviews with many of the mostimportant people in King's world, including Stephen King himself. There are also dozens of brand new features written exclusively for this volume, including interviews with Lilja himself and Glenn Chadbourne; reviews of short films such as "Here There Be Tygers," "Boogeyman," "Walking Ghost," "The Secret Transit Codes of America's Highways," "Night Surf," "Stephen King's Gotham Café," "Sorry, Right Number," "Night of the Living Dead," and others; reviews of the script for "The Mist" and scripts that are currently in development (including Black House and From a Buick 8); reviews of books such as Stephen King: A Primary Bibliography, Stephen King: The Non-Fiction, and others; and much, much more! 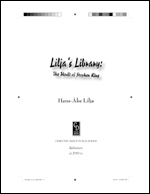 Click here to view the MASSIVE table of contents, read all of the praise for Lilja's work, or to place your order! Today is the day my book is released and to celebrate that the site has gotten a new look. The new look is more in the line of the cover of the book and I hope that you will all like both the new look and the book itself. Feel free to comment on both on facebook, twitter or in the guestbook. Thanks to Anders for the new design. Great news for anyone who’s waiting for my book. I just found out that it’s been moved up a week to August 3, 2010! That means it’ll be released in just 5 days! This arrived in the mail today! It’s the first copy of my book to leave the printer, a so called “Test copy” that the printer does first so that it can be checked for errors before the rest of the copies get printed. I’m very happy to tell you that this copy passed the test with flying colors! Some time ago I said that when the Lilja’s Library Facebook group reached 1,000 members I’d do a contest for the members of the group. Well, 1,000 have come and gone and now it’s time for the contest. 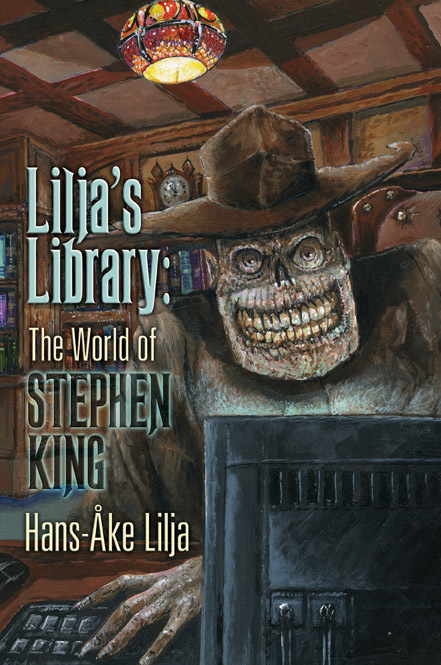 On August 9, the same day my book is released, I will draw one lucky member who will receive a copy of my book Lilja’s Library – The World of Stephen King for free (signed if you so desire). All you have to do is be a member of the group on August 9 and you’ll be in the running. So, if you’re not a member yet, join now. Cemetery Dance just informed me that there are now only two copies left of the limited (released in 52 copies) version of my book. So, if you're planning to get one, do is soon. 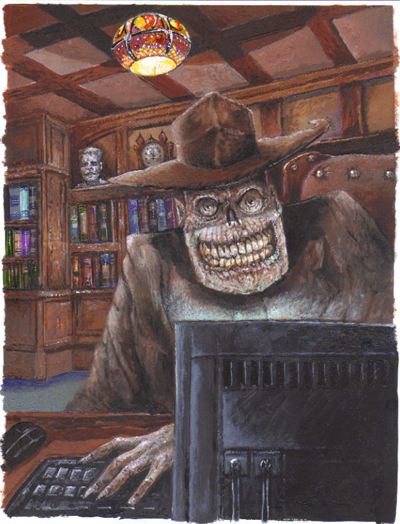 If you have read my reviews of The Stand comics you already know that I’m a big fan of it. I love Mike Perkins and Laura Martin’s work on it and you can probably understand how excited I got when both Mike and Laura agreed to do a short comic strip about my upcoming book. Since then I have seen some working versions of it and about a week ago I got the finished version (see below) and I don’t know about you but I’m extremely impressed with it! 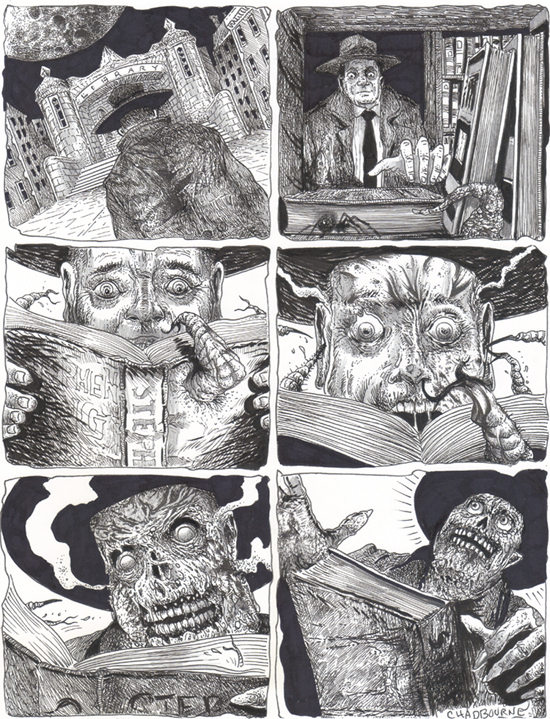 So, let me present Mike Perkins and Laura Martin’s original Lilja’s Library: The Comic! 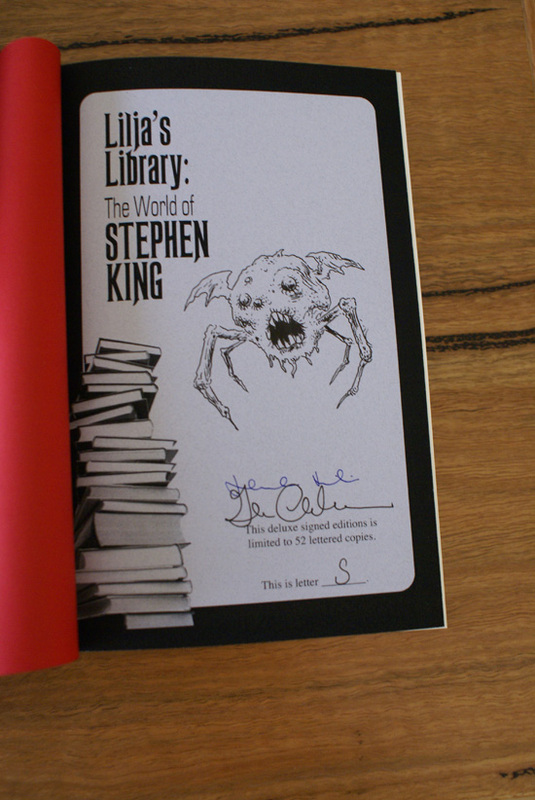 Glenn Chadbourne (who's illustrated Lilja's Library: The World of Stephen King) has created an exclusive card for The Overlook Connection that is signed by me and Glenn. Overlook offers this card FREE if you buy the book from them but they only have a limited number to offer so head over to them now if you want one. 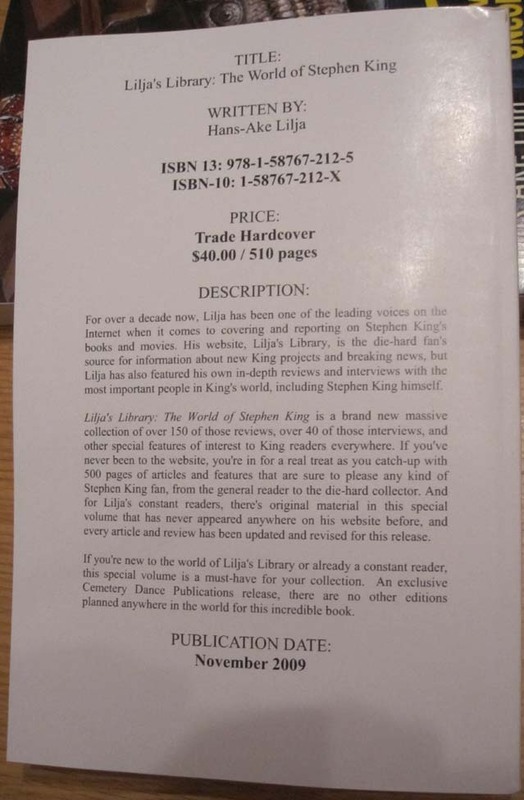 Today I'm happy to be able to finally give you the release date for my upcoming book; Lilja's Library: The World of Stephen King. The release date is August 9 and that is just 53 days to go! Here is a review of my upcoming book written by Kevin Quigley. 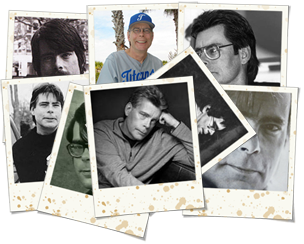 Here is an interview I did the other day with Talk Stephen King. 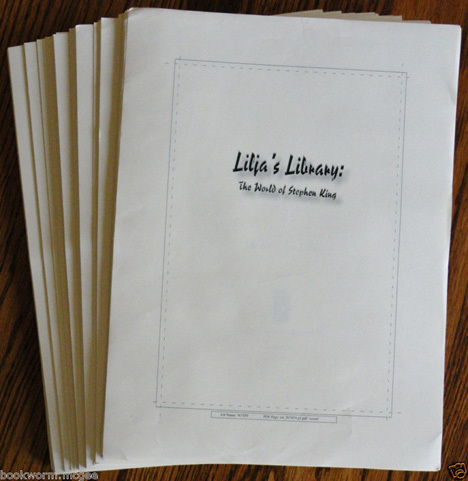 The facebook launch of Lilja’s Library yesterday is officially a success. In the last 24 hours more than 300 of you have joined and the numbers are growing as we speak. 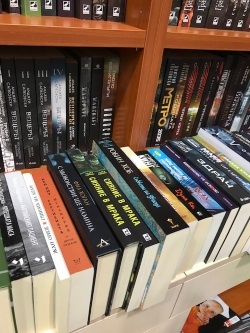 I also want to take this opportunity to thank all of you for your nice comments and kind posts about Lilja’s Library since I haven’t had the chance to do it personally. To celebrate this I’m going to give you all a sneak peak from my upcoming book (released this summer by Cemetery Dance, order your copy here). The preview is in two parts. 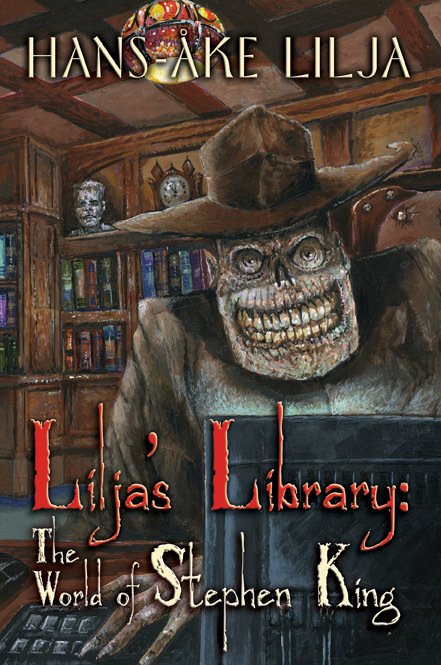 First you have this wonderful illustration featuring Lilja’s Library’s mascot Marve - The Library Policeman by Glenn Chadbourne. The second is an excerpt from the introduction to the book (this is not the entire introduction though, just enough to wet your appétit), written by none other than Bev Vincent. So, thanks for joining me on facebook (if you haven’t yet you can do so here) and enjoy the preview! Cemetery Dance will soon let everyone know the release date for my book but they told me today that there are less then 5 of the 52 copies of the lettered edition left so if you are planning on getting one of those, don't wait to long. You can order here. "...a must have for the Constant Reader." "Hans-Ake Lilja, the most dedicated Stephen King fan I know, takes the reader on a joyous, wide-ranging journey through King’s world and influence. 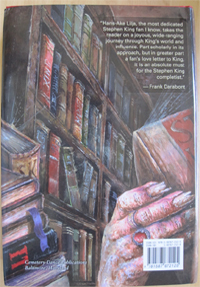 Part scholarly in its approach, but in greater part a fan's love letter to King, it is an absolute must for the Stephen King completist." Bookgasm published a review of my book today. You can find it here. 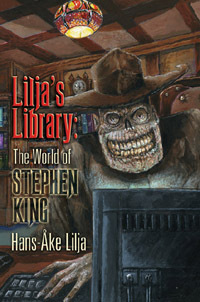 In the new issue of Fangoria (issue #289) you can find King's essay called What’s Scary but what I didn't know until tonight is that in that very same issue Fangoria selects my upcoming book, Lilja's Library: The World of Stephen King as their "Book of the Month". How about that? 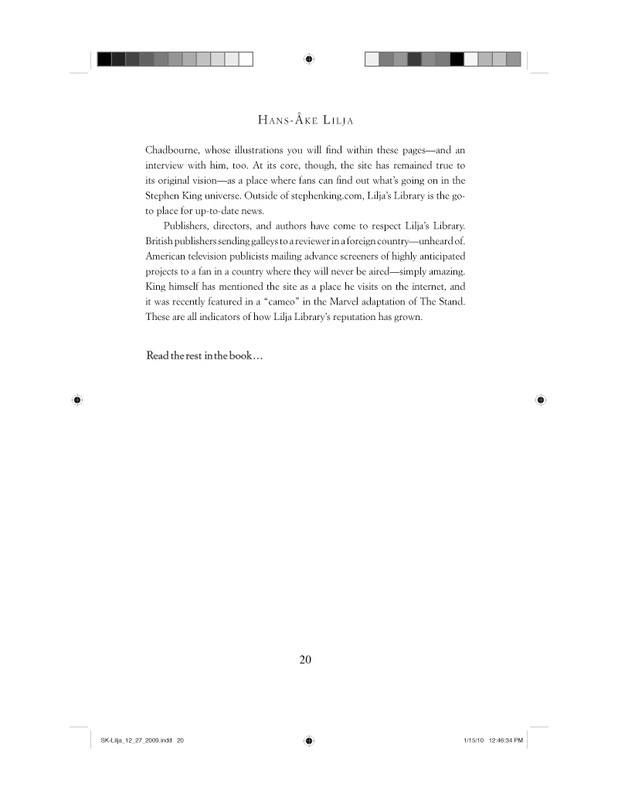 Charnel House has posted a very positive review of my upcoming book by George Beahm. You can check it out here. Here is a new quote for my book the other day, this time from Stephen Spignes, author of several boos about King. 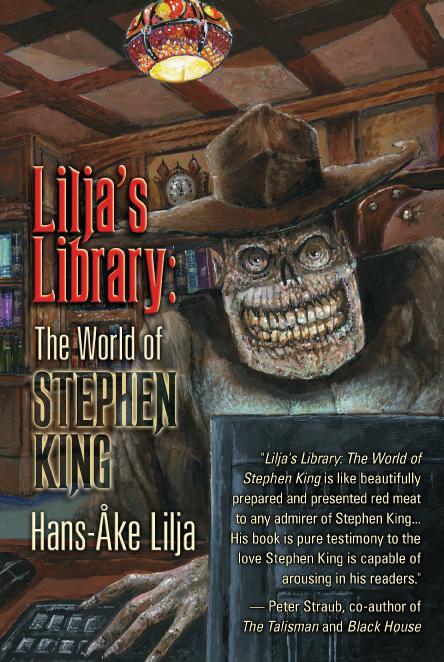 "Lilja's Library: The World of Stephen King" is a major labor of love that is a treasure trove for King fans and in a category all its own. 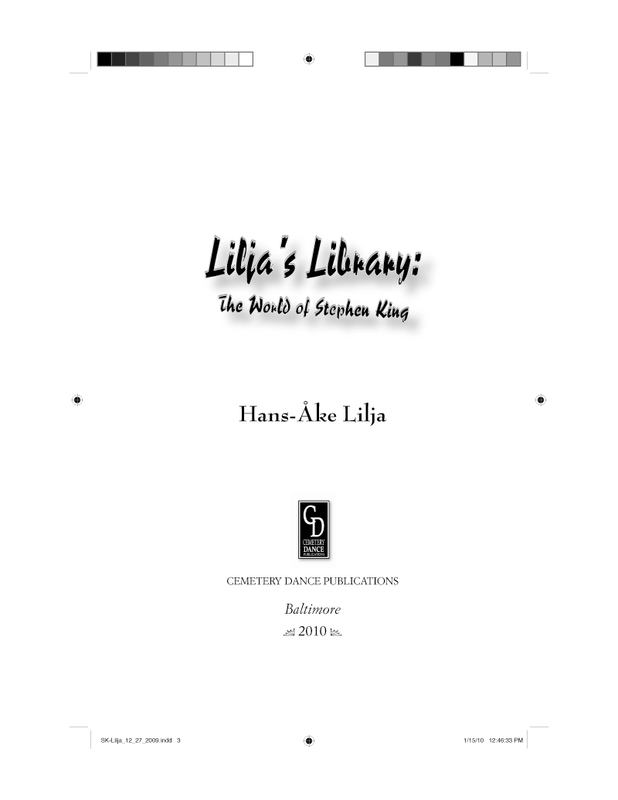 Lilja's combination of knowledge about King, his passion for King's work, and his writing and editing talents make for a magnificent tome that is a must-read for King lovers. It seems like Lilja has talked to everyone, and reviewed everything, and having all his interviews, articles, and reviews in one place is a goldmine for Constant Readers. M-O-O-N spells "Lilja" and we all owe our friend across the pond roaring thanks for this terrific book. 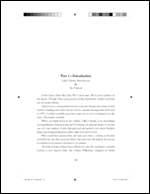 My book was planned for a November release but will be pushed forward to early 2010. The reason for this is that we sent out review copies to people hoping for quotes to use on the book and getting responses on that has been taking much longer than we expected. However both CD and I felt that it was worth waiting for even if it means the book will be delayed a few months. With that said I'm also happy to chare this review of the book with you. As you might have read galley's of my book where sent out some time ago and now people are starting to mention it. And with the risk of sounding to proud of the book I'm going to publish links to all reviews here on the site, good AND bad, so if you find any, please send me the link. 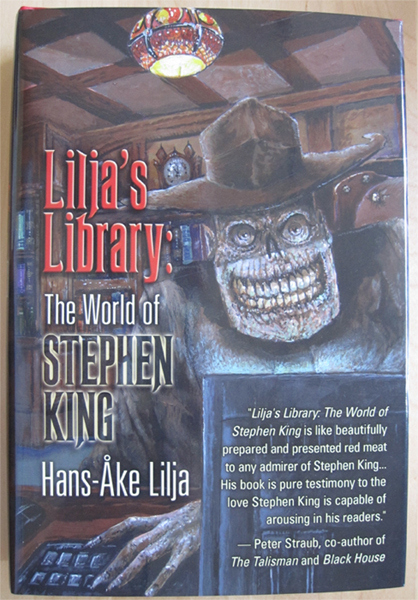 "Lilja's Library: The World of Stephen King is like beautifully prepared and presented red meat to any admirer of Stephen King. Mr. Lilja has tracked down his many quarries and used them to create this massive treatment of King's work and his world. 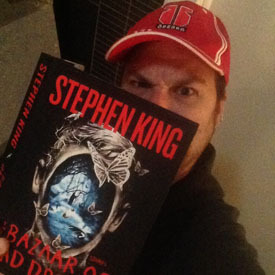 His book is pure testimony to the love Stephen King is capable of arousing in his readers." Well, what can I say? I’m a very happy boy today! The galley's of my book has reached Sweden and here are a couple of new photos of it. Today I got this photo from Cemetery Dance. I haven't held the book in my hands yet but it does exist. Very exciting news! 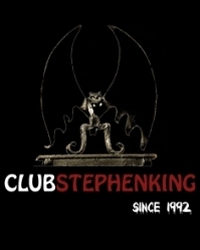 There's a spanish online store dedicated to Stephen King. It's called Restaurant De La Mente and there you can find for sale books, signed editions, magazines, comics, merchandising and more! 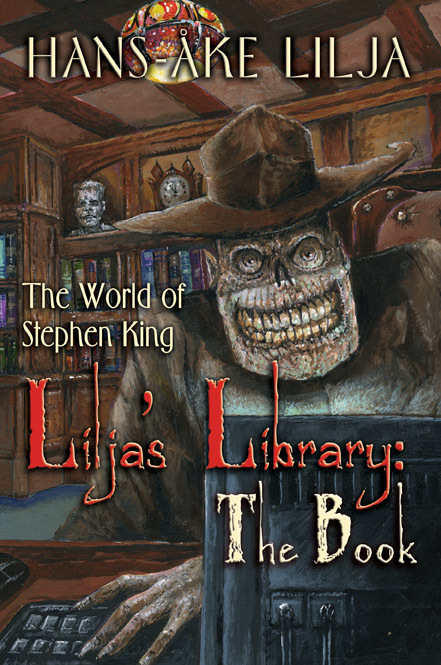 Starting today, the store is taking orders for Lilja's Library: The World of Stephen King and due to all the payment options available, even those who don't own a credit card can secure a copy! The race for an early copy of my book is over and here are the right answers and the winners that each will receive a galley of my book. Answer 1: B. Saturday (July 11). Question 2: When is the book version of Lilja’s Library being released (according to this site, not Amazon.com or anyone else)? Question 3: How many reviews do I have in the book? Question 4: How many interviews have I made for the book? 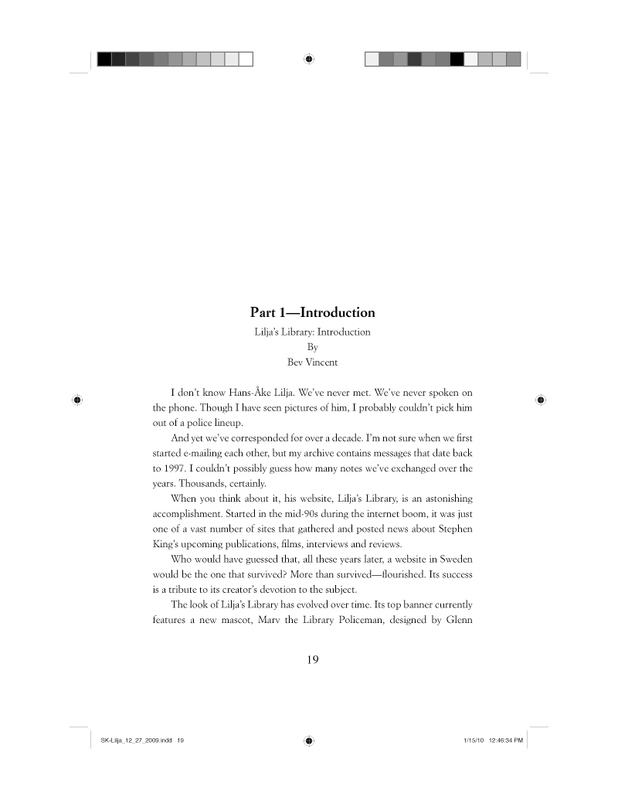 Here is an interview with yours truly about Lilja's Library, the site and the book. Horror Mall is selling my book now for a discounted price if anyone is interested. I'll be giving an interview for Veryfinebooks soon and if you want, you can be part of it by submitting your own question for me to answer here. It looks like the cover for my book really appealed to people. Cemetery Dance has received several offers to buy the original artwork for private collections so they have now decided to put the front and (never-before-seen) back cover up for auction. 2 Pieces of Original Color Artwork Up For Bidding NOW! Stephen King and Glenn Chadbourne Fans Take Note! RARE Collectibles! We'll be taking offers on behalf of the artist, Glenn Chadbourne, and selling to the highest bidder for each piece. We will be processing the sale either via PayPal or Credit Card and shipping these copies for our customers via UPS for US addresses, so they will be packed well and insured for the amount paid. No checks or money orders can be accepted for this special offer. Customers outside the US will be shipped via USPS at their own risk. You may bid on the front OR the back cover OR both, but please be clear which one your offer is for. Please email Mindy Jarusek at info@cemeterydance.com with your BEST OFFER as soon as possible if you're interested because this offer ends in just 72 hours. Serious bids only. 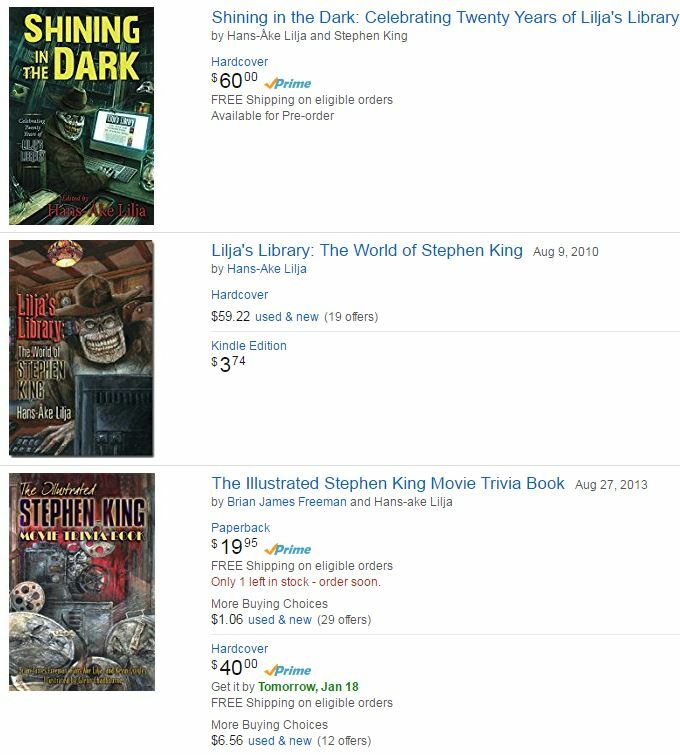 The minimum bid for these is $199 per piece, but considering that full-color Glenn Chadbourne artwork often sells for up to $500, these would be a steal at that price, especially given the Stephen King subject matter! Please put "LILJA'S LIBRARY Best Offer" in your subject line so these offers can be properly processed. Please send the final amount you are willing to offer for these copies. The deadline for this "best offer" is THIS WEDNESDAY, April 22, 2009 at 5 PM EST. The winner for each cover will be notified via email after the offers have been reviewed on Thursday. Your best offer is a binding agreement to purchase a copy at that price. REMEMBER, if you make the best offer for one of these, you're getting the ORIGINAL artwork! No one else in the world will have what you have! If you have any questions before you bid, please email Mindy and she'll help you out. As always, thanks for your continuing support! Walking The Mile—The Making Of "The Green Mile"
Section 4: The "Dollar Babies"
"Lilja's Library is not only the best of all the Stephen King websites now up on the web, it is one of the best of all current websites now up, being lively, informative, colorful, and wonderfully well-organized. It is a pleasure to visit Lilja's Library." 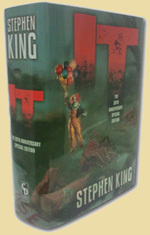 "A very impressive site, and by far one of the best on Stephen King! Done with great commitment, obvious passion, and reverence for its subject. 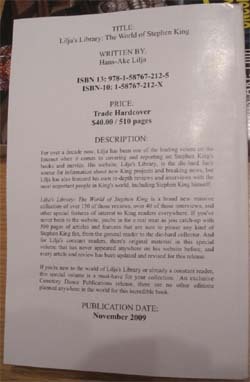 It's always a pleasure to log on to Lilja's Library and see what's happening in the world of King." 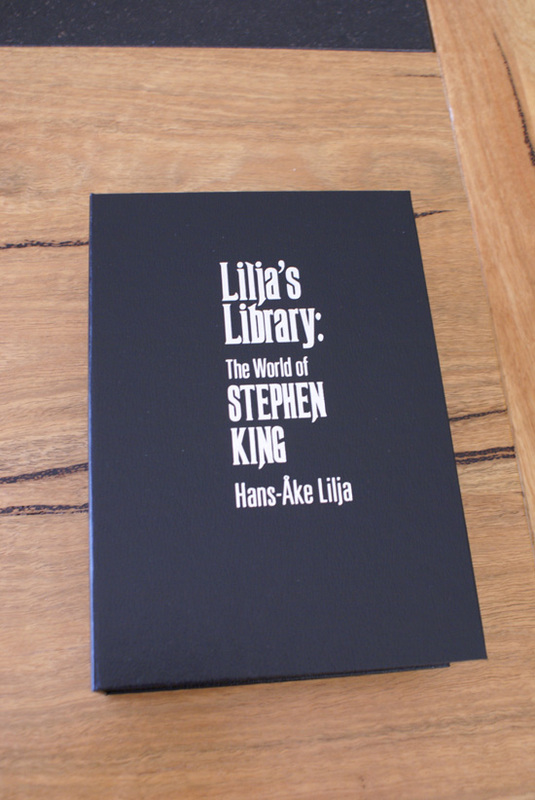 "Lilja's Library is a required surf stop for the serious King fan." 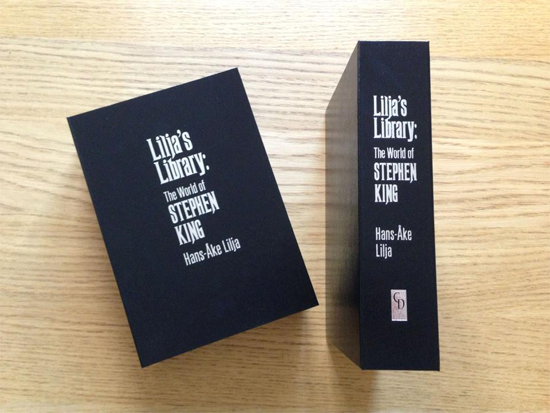 "Everything I want to know, and more, about Stephen King-I find at Lilja's Library"
"The wealth of information and the latest news updates available on Lilja's site is amazing. Lilja possesses the same level of devotion to Stephen King as Kathy Bates from Misery, the only difference between the two is... Lilja has a computer." 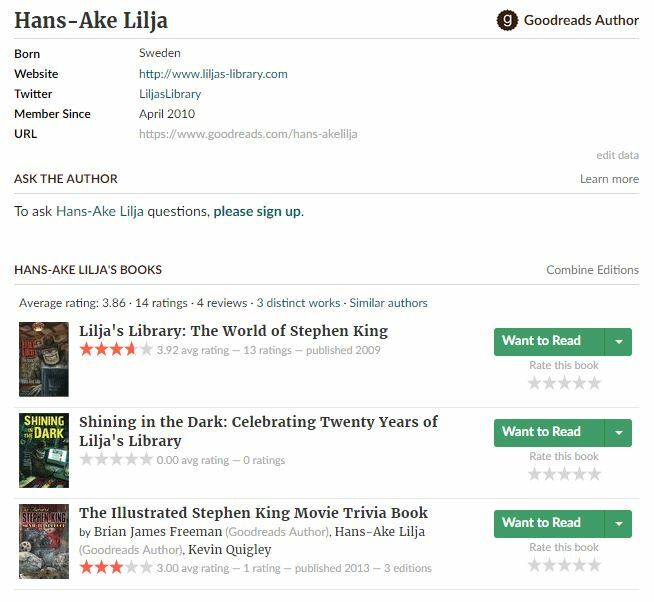 "Lilja's Library has emerged from among the ranks of Stephen King information sites as THE go-to place for all the latest news, reviews, interviews and rumors. If it's not bookmarked in your favorites list, it should be." 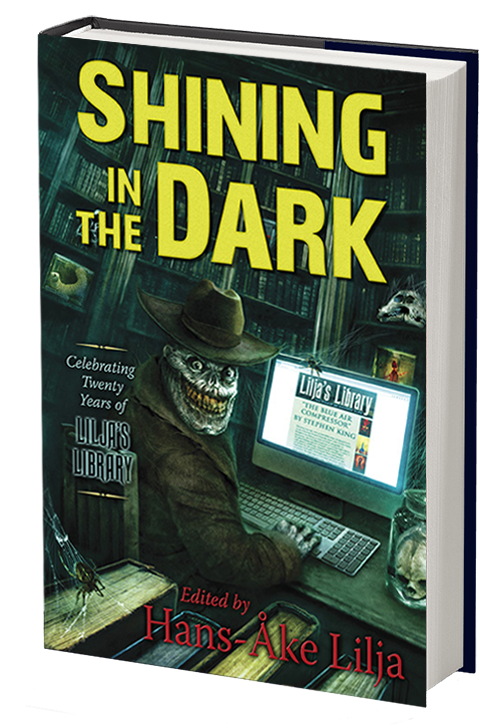 "Lilja's Library is a great website packed with information"
— Robin Furth, author of The Dark Tower Concordance and The Dark Tower comic. 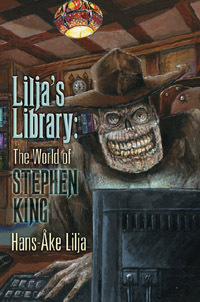 "Lilja's-Library is a wildly enthusiastic look at the world of Stephen King. 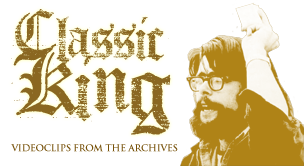 Any King fan can certainly indulge themselves with reviews, interviews, sneak peaks and plenty of nostalgia. Stephen can ditch his day-planner as long as he has this site bookmarked." 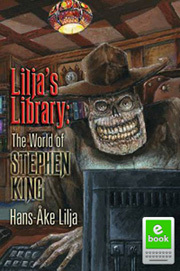 "Lilja's Library is the most comprehensive, thorough, and up-to-the-minute source for Stephen King news on the web. 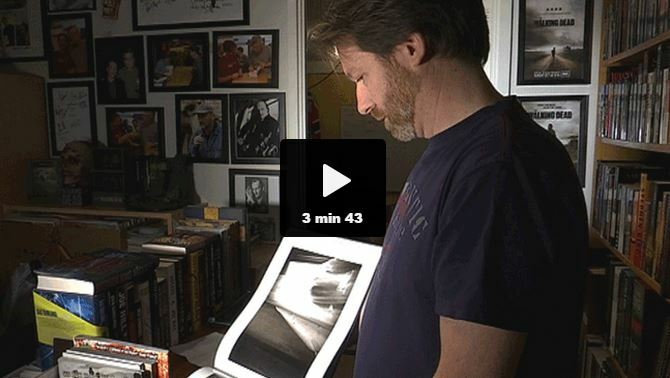 It's a labor of love and an invaluable resource for us SK fans." 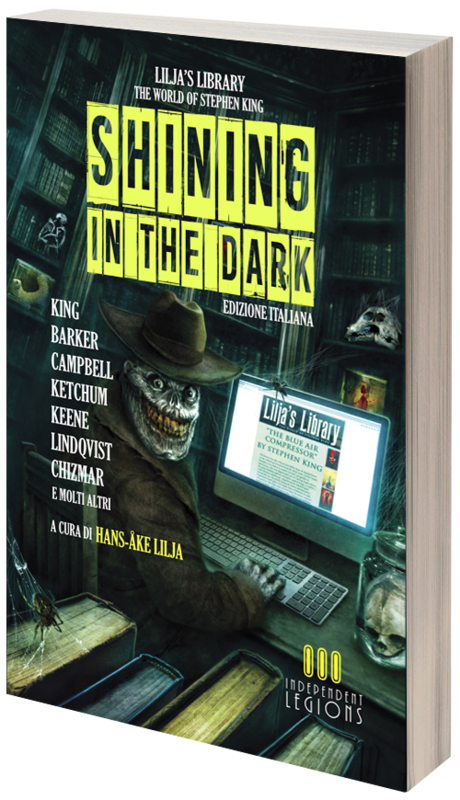 "A one-stop shop for everything King Related, Lilja's Library is the place on the net for the most in depth information for the discerning Stephen King fan—I have yet to find a website with more thorough, detailed, accurate and up-to-date information." — Jay Holben, director of Stephen King's Paranoid. 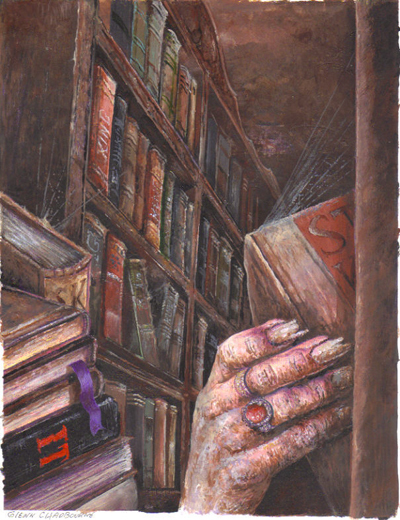 "I've had a delightful time exploring Lilja's Library. I especially like the arrangement of materials. Everything is clearly labeled, easy to access, and well (and fully) discussed. It is certainly among the best and most comprehensive sites I've visited." "For a one-stop place to check out the latest King news, not just in America but worldwide, this is the only place you need to go. And the best thing about this is—in Lilja's Library, you don't need a borrower's card!" "As New Line Cinema and film director Peter Jackson discovered, it simply makes good sense — and good business — to keep the fans online informed of what's going on; and in the Stephen King community, there are only a handful of sites worth your precious time. Lilja's Library is one of them. A die-hard King fan who has painstakingly and, over a period of many years, built up his website so that it's in the first rank of King websites, "LL" (Lilja's Library) is an essential website to surf if you REALLY want to know what's going on in Stephen's kingdom. Hard-working, responsible, and dedicated to putting out the news for a worldwide audience, Lilja is a publicist's dream: He'll get the word out and do it in a professional and timely manner. 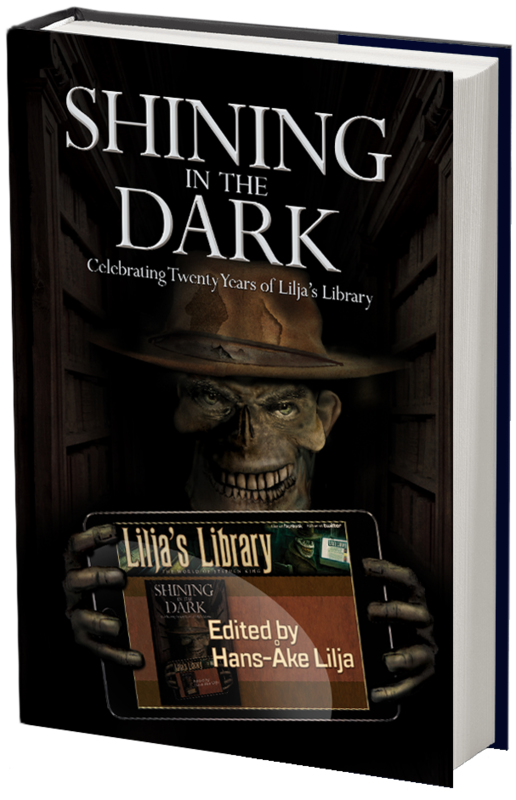 As the author of more books about Stephen King than anyone else on the planet, I've got to say that Lilja has my respect and admiration because of his efforts to keep the King community informed, and as they say, you can take THAT to the bank." 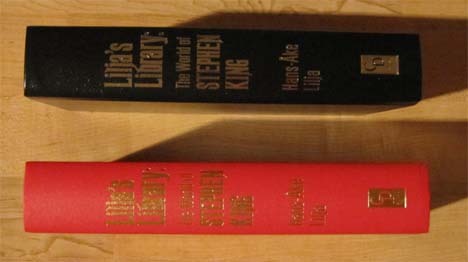 "Lilja's Library is one of the best resources on the Internet for all things King. 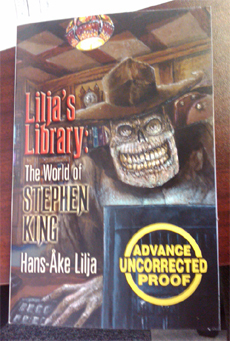 In addition to being a wonderful support for our extensive collection of Stephen King audiobooks, Lilja is an absolute pleasure to work with! 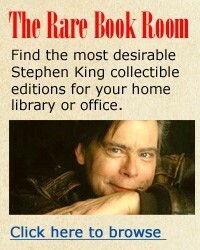 I highly recommended the site for all fans of Stephen King." 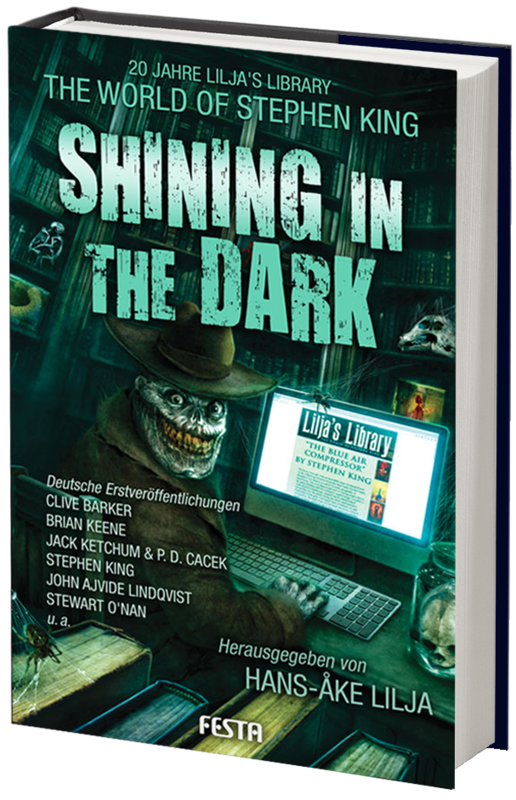 "There some utterly definitive web sites I depend upon for their accuracy and specific focus and on my list is Lilja's Library for all things Stephen King. Lilja does an extraordinary amount of work maintaining one of the most comprehensive King sites on the Web. 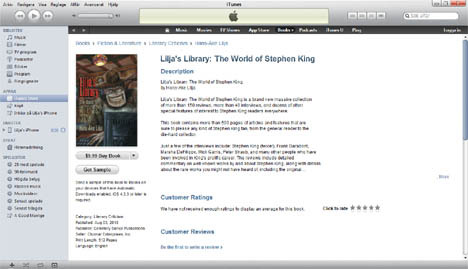 Lilja's Library is the kind of loving, meticulously accurate web site that King's work inspires in his fans. King fans around the world owe him enormous gratitude for keeping us all up to speed on all the goings-on in the kingdom of King." 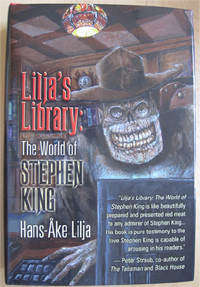 "Lilja's Library is the quintessential resource for anybody — fan or professional — seeking information on anything related to Stephen King and his multitude of books, films and television productions. 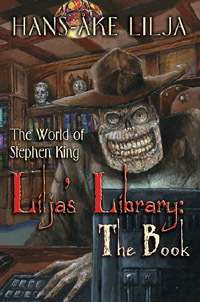 If there's anything you need to know about a Stephen King project, go to Lilja's Library first!" 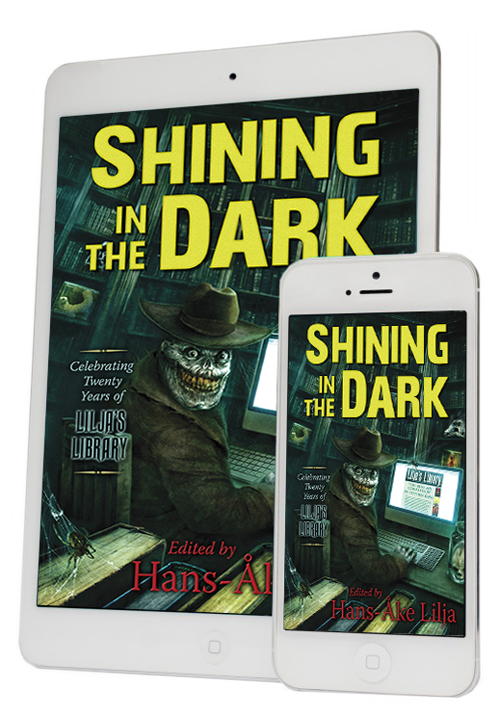 For over a decade now, Lilja has been one of the leading voices on the Internet when it comes to covering and reporting on Stephen King's books and movies. 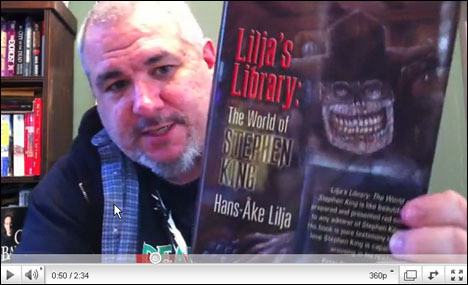 His website, Lilja's Library, is the die-hard fan's source for information about new King projects and breaking news, but Lilja has also featured his own in-depth interviews with the most important people in King's world, including Stephen King himself.